What companies make the implants and are they FDA approved? 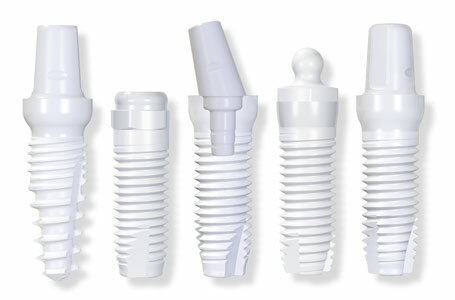 In our office, we use implants from two Swiss companies, Z-systems and Zeramex. They both have had an excellent track record in ceramic implants and provide the necessary training and certification for dentists who want to incorporate or switch to metal-free implants. Z-systems has FDA approval since October 2007, while Zeramex received FDA approval in early 2017. Both companies have longer clinical track records in Europe. For more information on Z-Systems, visit Z-System’s website. For more information on Zeramex, visit Zeramex’s website or see their brochure. Zirconia is short for Zirconium dioxide, which is a ceramic. Zirconium is a metal but its oxide is a ceramic, just like Aluminum oxide. Similarly, Calcium is a highly reactive metal but its compound, calcium phosphate, is what makes up most of the solid part of our bones. What is the Zirconia implant exactly made of? 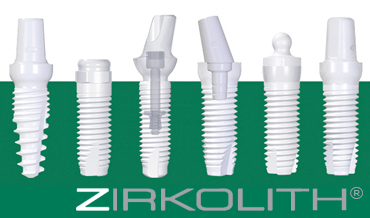 All Z-systems implants are manufactured from Zirconia y-TZP – A Bio HIP bioceramic according to ISO 13356. The zirconium dioxide suitable for use in implants has the following composition: 95% ZrO2 + 5% Y2O3. 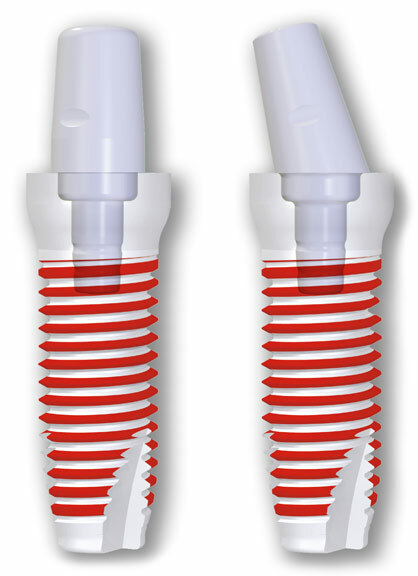 The 100-percent metal-free ZERAMEX® ceramic implants resemble the natural tooth root in aesthetics and function. They have high biocompatibility, are completely free of metallic corrosion, and conduct neither electricity nor heat. Titanium implants may release titanium debris and ions, which can cause inflammation in the surrounding soft tissue. Furthermore, titanium’s resistance to corrosion may be minimized in the combination with bacteria on its surface. 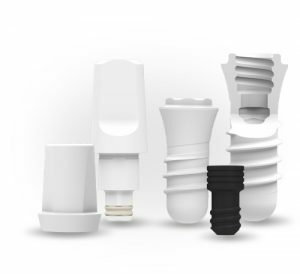 The use of ZERAMEX® metal-free ceramic implants minimizes the risk of plaque and inflammation caused by metal corrosion. Do Zirconia implants integrate with bone as well as titanium implants? Studies so far show that Zirconia binds with bone at least as good as titanium, if not better. The BIC ratio (Bone-to-Implant-Contact) of Zirconia in some studies proves to be even superior than that of titanium. This is particularly true in the coronal (top) part of the implant, or the so-called crest of the bone. Are Zirconia implants suitable for everyone? Certainly not. Smokers, diabetics and those with bleeding disorders are definitely not candidates. Other factors that increase the risk for implant failure are insufficient bone density or depth, a collapsed bite with insufficient clearance, uncontrolled gum disease, and those who do not fully cooperate in wearing the protective appliances during the healing phase. Are there other options besides implants?